Dungeons and Dragons Art Printed on an Ultra Woven Linen Fabric Blend in an 11in x 14in Glass Frame. Great Gift for D&D lovers! 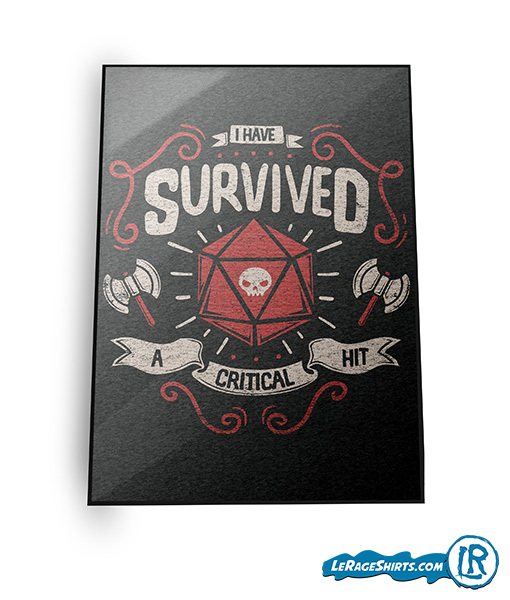 Gamer Gift, Nerd and Geek Present, Gift for Him or Her, I Survived a Critical Hit Poster.